I made the mistake of asking what’s next for them after Jersey Shore and was pretty much just given a list of all of the products they are endorsing. Now, I get it, when you have zero talent you have to take whatever comes along but maybe try and be a bit more subtle about the products you’re pimping. No Ronnie I don’t want to try your low calorie cocktail line and Sammi we really don’t have the same taste so I’ll give your clothing line, clutch line and fragrance collection a miss thanks. Obviously I couldn’t say that so I had to stifle a yawn and smile away while they filled me in. Ronnie’s also taking some acting classes though so maybe that’ll work out! 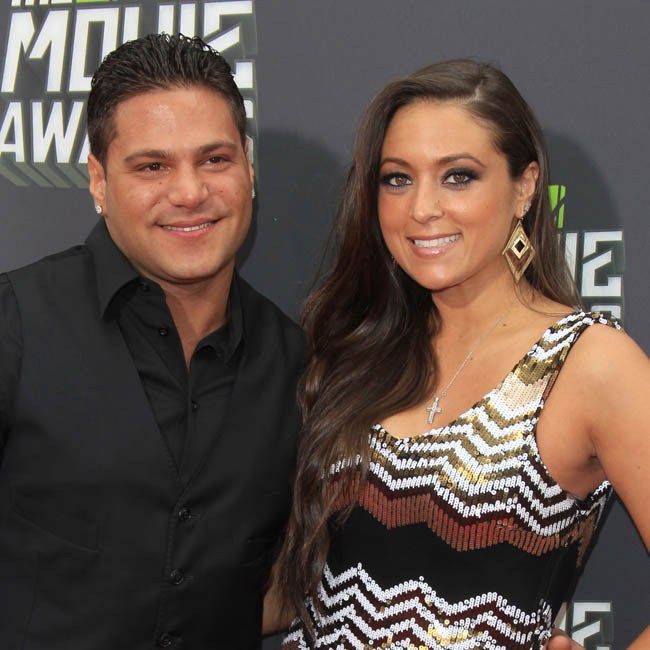 This entry was posted in Gossip and tagged Jersey Shore, MTV Movie Awards, Ronnie Ortiz-Magro, Sammi "Sweetheart" Giancola. Bookmark the permalink. I wish them the very best! They had the Jersey Shore platform but now they don’t attract much to people since the show was stopped. I love Jersey Shore but it wasn’t going to run forever! It’s unfortunate how this does happen to many reality tv stars after their short-lived fame is over 😦 I hope they continue to stay in the spotlight.